A book on national leaders published by Lok Sabha Secretariat in which Netaji Subhas Chandra Bose’s death has been marked as August 18, 1945 has angered the All India Forward Bloc. The party, which was formed by Netaji in 1939, has decided to go for a ‘Jail Bharo’ movement to protest the publication of the book as it doesn’t believe that Netaji died in an aircrash on August 18, 1945. “Who has given them the right to write that Netaji died on August 18, 1945, when the government of Taiwan says that there has been no such crash,” said party general secretary Ashok Ghosh at a press conference in Kolkata on Sunday. He also said that the report of Justice Manoj Mukherjee, which found no evidence of Netaji’s death, should be accepted by the Parliament. The party will go for a “Jail Bharo” across 14 districts in the state on November 18, and on November 21 in Kolkata to protest against the publication of the book — Honouring National Leaders - Statues and Portraits in Parliament Complex. Ghosh said the party will go for a nationwide movement and burn the copies of the book in front of Parliament later. 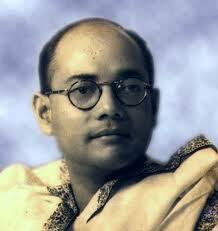 The party also demanded that January 23, the birth anniversary of Netaji, should be celebrated as Desh Prem Divas. The previous Left Front government in the state has accepted the proposal of the party and former chief minister Buddhadeb Bhattacharjee had written a letter in this regard to Prime Minister Manmohan Singh.